There’s something special about those two words that cause tears of happiness to swell in my eyes. Cured, uncured, roasted, braised, fried, grilled… no matter what you do to it, it will always taste good. At Yasu, it was simple and au naturel. Aww, so naturally delicious. Yasu served the most banchan (side dishes) I’ve ever seen. From cold pasta noodles, to black beans, to the multiple pickled vegetables, it was a great way to enhance barbecue meat and nibble on something different from time to time. Since we ordered unseasoned pork belly (Sam Gyeop Sal) and unseasoned beef brisket (Cha Dol Bae Gi), my handy friend, Chae, taught me how to properly eat like a true Korean. With the side of lettuce leaves given, take a leaf, put some rice on it, dip the grilled meat in various sauces, add some marinated onions and lettuce (Pa Jae Rae Gi) and fold everything in that baby up. Voilà! Although you may feel more Korean, do not advance too far and attempt K-Pop choreography. We leave that one to the pros. 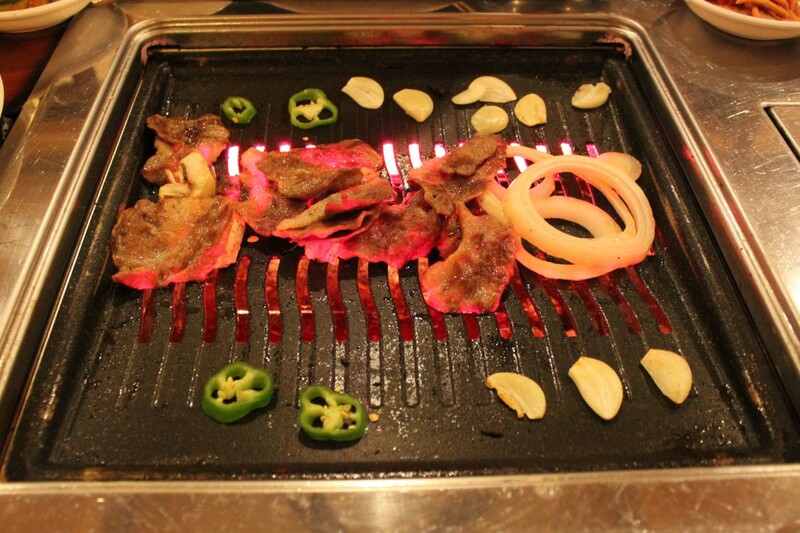 There are also marinated meats, such as the popular Kal-Bi (marinated prime rib) that everyone loves. The flavors are a combination of mouthwatering savory and sweet. I didn’t order it, but have enjoyed it at other restaurants. This was actually the first time I had unseasoned meat, and surprisingly, I liked it! I also genuinely enjoyed Yasu as a whole, but after eating Korean BBQ in the west coast, it’s tough to rate the same type of cuisine in Boston. The main reason for this is the price difference. 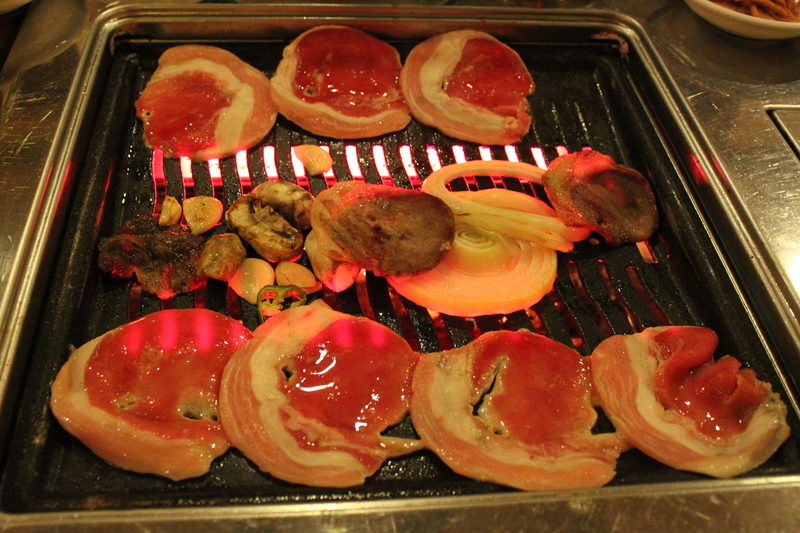 For two people with two BBQ meats that came with rice and bancha, the cost was roughly $40 ($20 per plate). For 7-8 pieces of thinly sliced meat, it’s a steep price and you can get more for the amount for the same price in California. But let’s face it- we’re in Boston and certain options are limited. Knowing this hinders my encounters with Korean BBQ restaurants, but it will not stop me coming back to Yasu if I am craving it. Even though I still haven’t found a place that reminds me of California’s BBQ, Yasu is great for newbie Korean BBQ’ers like me. The menu is also quite extensive compared to similar restaurants. 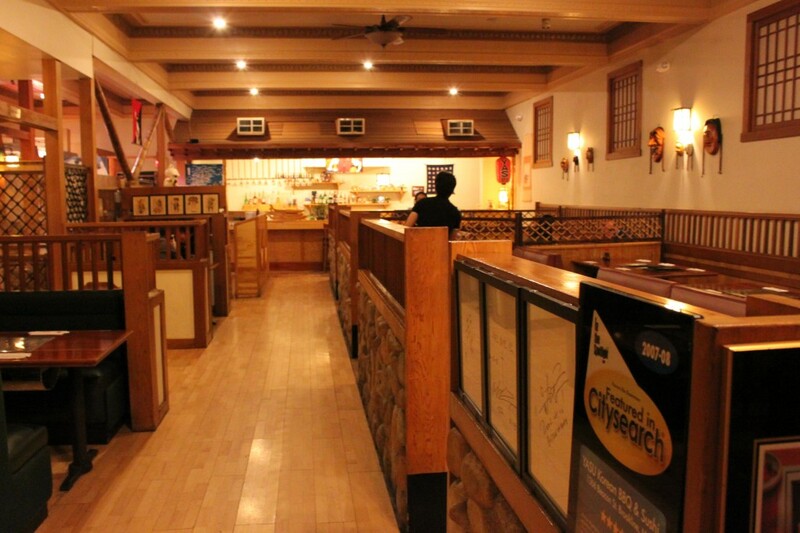 There is a full sushi bar, Japanese entrees such as Katsus, and a number of other Korean dishes. Accompany your lunch or dinner with their wine and imported beer, and I’m sure you will find this to be a comfortably open-spaced restaurant with great service, spot on food and a fun way to prepare your own meal. 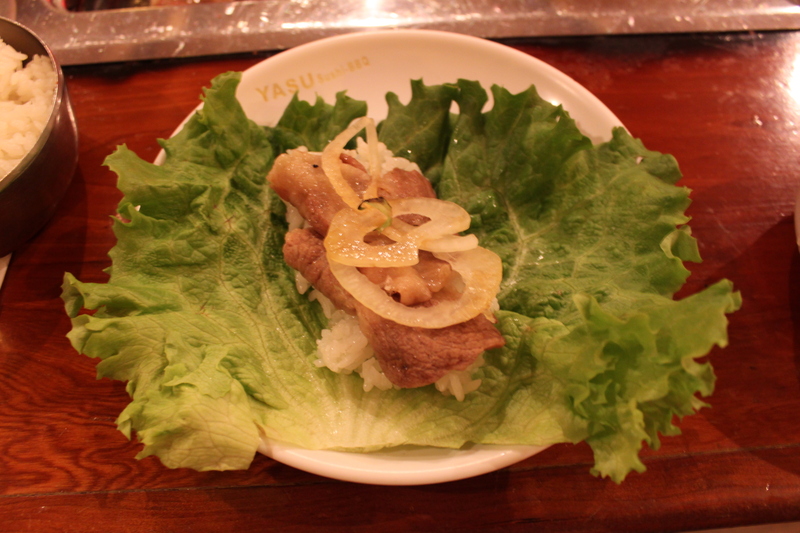 I recommend Yasu, but I am still anxious to explore potentially better Korean restaurants. I may find some, I may not, but bottom line is that the service was great, the BBQ experience was fun and engaging (definitely a great date idea) and the meat with 10 different types of banchan was certainly a crowd pleaser. If you’re ever around the Coolidge Corner, I encourage you to turn onto Beacon Street and think about how nice it is to have BBQ during the winter of Boston. If you catch yourself smiling, that means you should give this place a try. This entry was posted in Brookline, Date Night, Korean, Restaurants by BeantownBelly. Bookmark the permalink. Haven’t tried this, looks interesting. Only Korean place I’ve been to in the area is in Harvard Sq., name escaping me right now. I make a pretty good Bee Bim Bop at home though! Are you thinking of Koreana? Bee bimp bop is delicious. I love how the hot stone bowl makes the rice a little burnt and crunchy on the edges! Great-looking photography, especially the top one. 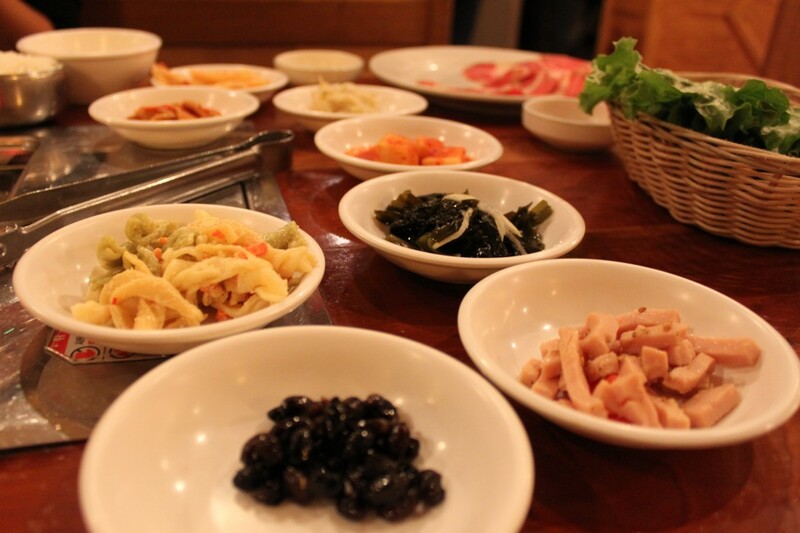 Very informative, too, especially for those like me who really *are* newbies to Korean BBQ.